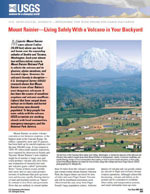 Debris flows (lahars) pose the greatest hazard to people near Mount Rainier. 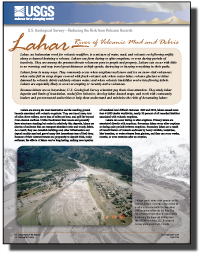 A debris flow is a mixture of mud and rock debris that looks and behaves like flowing concrete. 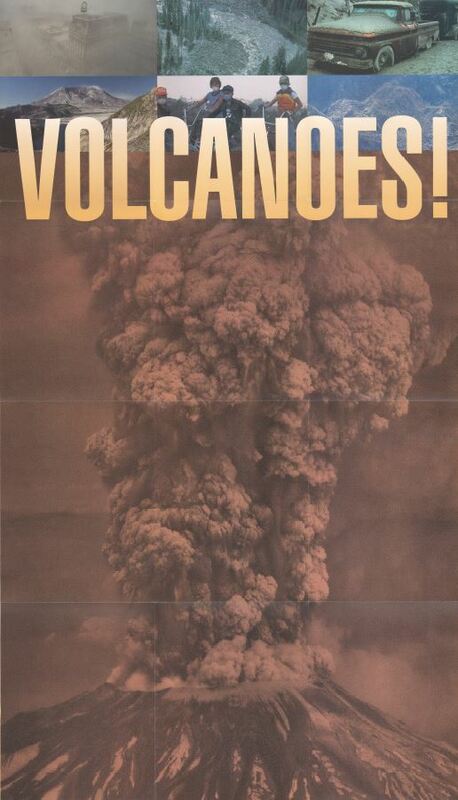 Giant debris flows sometimes develop when large masses of weak, water-saturated rock slide from the volcano's flanks. 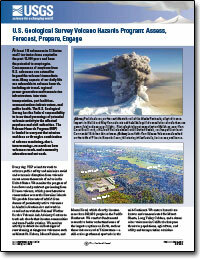 Many of these debris flows cannot be predicted and may even occur independently of a volcanic eruption. 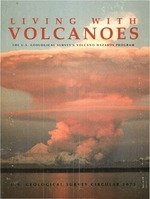 Giant debris flows can also form during an eruption as hot rock fragments tumble down the volcano's slopes, eroding and melting snow and glacier ice. Although they happen infrequently, giant debris flows have the potential to inundate much of the southern Puget Sound lowland. Scientists estimate that debris flows can travel the distance between Mount Rainier and the Puget Sound lowland in as little as 30 minutes to a few hours. About 100,000 people now live in areas that have been buried by debris flows during the past few thousand years. During the past 10,000 years, about 60 giant debris flows from Mount Rainier have filled river valleys to a depth of hundreds of feet near the volcano, and have buried the land surface under many feet of mud and rock sixty miles downstream. 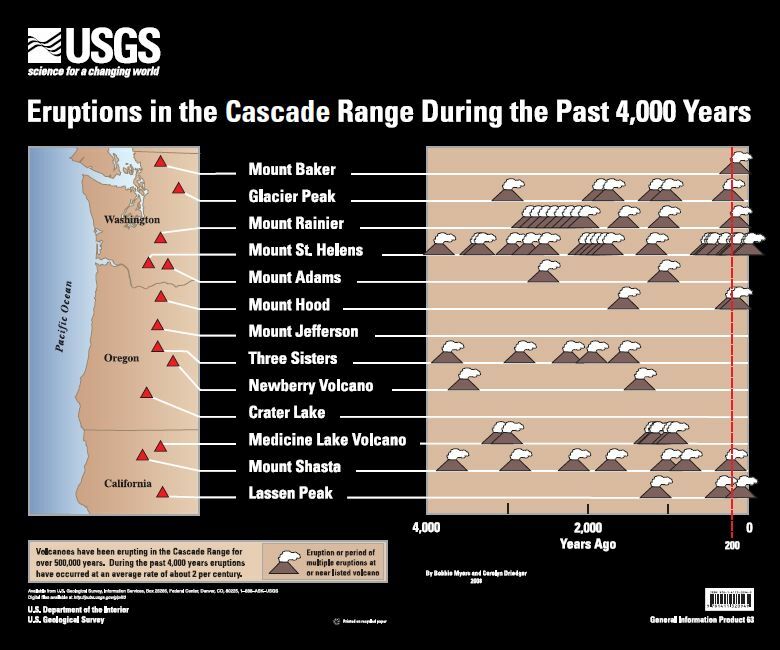 Seven debris flows large enough to reach Puget Sound have occurred in the past 6,000 years. 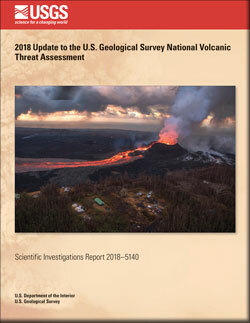 Myers, Bobbie; Brantley, Steven R.; Stauffer, Peter R.; Hendley, James W.
Scott, Kevin M.; Macias, Jose Luis; Naranjo, Jose Antonio; Rodriguez, Sergio; McGeehin, John P.
Catastrophic debris flows transformed from landslides in volcanic terrains : mobility, hazard assessment and mitigation strategies; 2001; PP; 1630; Scott, Kevin M.; Macias, Jose Luis; Naranjo, Jose Antonio; Rodriguez, Sergio; McGeehin, John P.
House engulfed by debris flows generated in response to a rainstorm on February 6, 2010. This house was west of Briar Wood Canyon in southern California. The small, but steep and rugged drainage basin above this home was burned the previous summer by the Station Fire, the largest fire in the history of Los Angeles County. House damaged by debris flows generated in Mullally Canyon in response to a rainstorm on February 6, 2010. The drainage basin above this home was burned the previous summer by the Station Fire, the largest fire in the history of Los Angeles County.